"A unique game about driving to your family in a post-apocalyptic world." 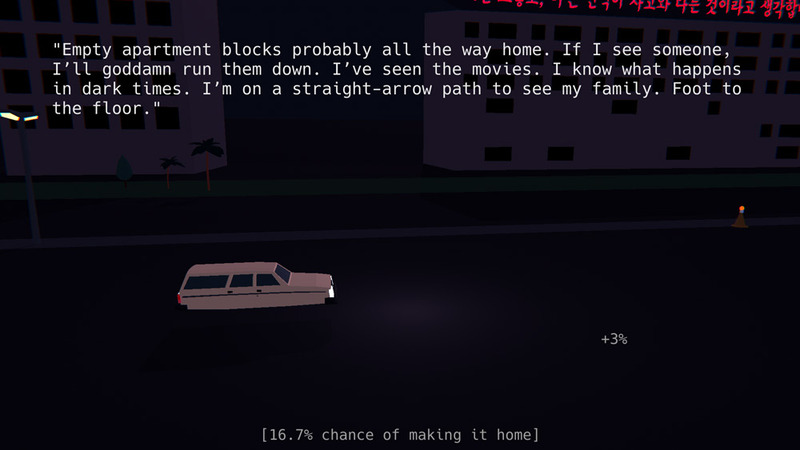 Dissociative Dad is a post-apocalyptic game where you play as the father of a family who was away at the time of whatever kind of monumental tragedy has occurred to start the apocalypse so in his hover car he must try to make his way through the debris ridden streets and make it back to his family to save and protect them. 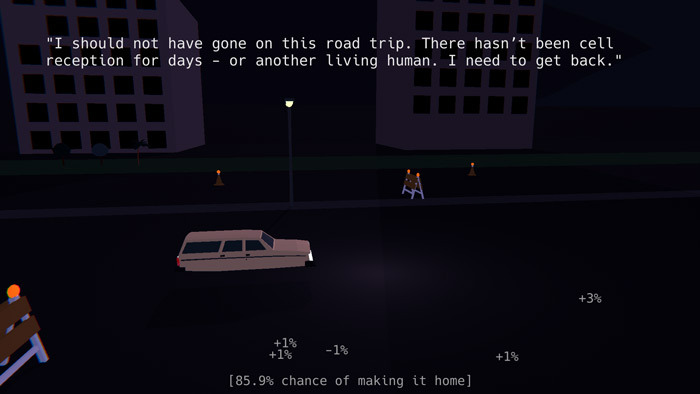 As you drive you will have to avoid the obstacles and debris but also collect gasoline cans and even more strangely you must collect speech bubbles and after you collect one of these there is a brief paragraph narrated by the protagonist which explains a bit of the backstory and how he is feeling about his journey back home along with the things he misses most from the pre-apocalyptic time. 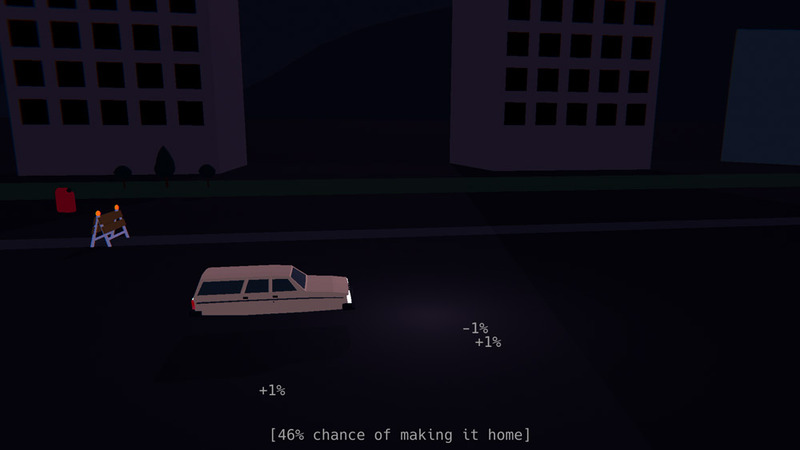 The game play is very simple using only 3 buttons two of which dodge the vehicle in on direction or the other and also there is a button to boost the speed of your vehicle but you must make sure you have enough gasoline to use the boost and also try not to speed past the speech bubbles as they break up the game nicely and are very well narrated. Sadly the whole game is over in just a few minutes but it’s certainly a unique and different game with an interesting and mysterious back story. You can download Dissociative Dad here for free.